PLAYMAKER. 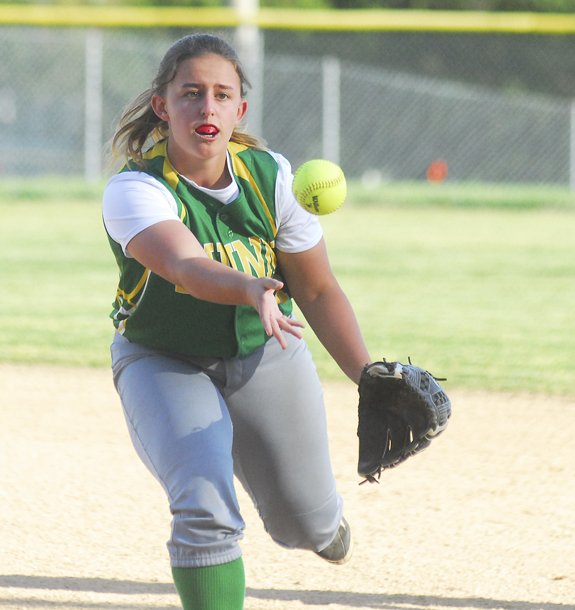 Bunn second baseman Emily Bell records an out during last Wednesday's home victory against conference rival South Granville. 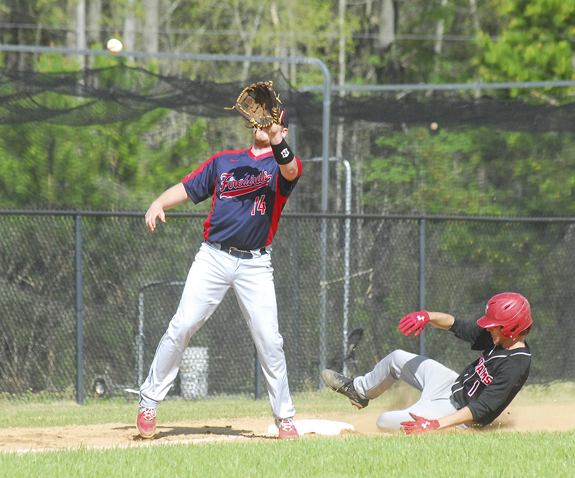 LOUISBURG -- Louisburg College saw its seven-game baseball winning streak snapped Tuesday as part of a non-conference home meeting against Catawba Valley Community College. 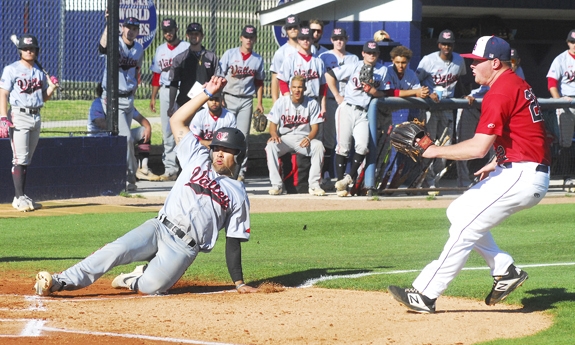 The visiting Buccaneers delivered four runs in the top of the eighth frame and then held off the Hurricanes to register a 9-8, nine-inning triumph at historic Frazier Field on the LC campus. 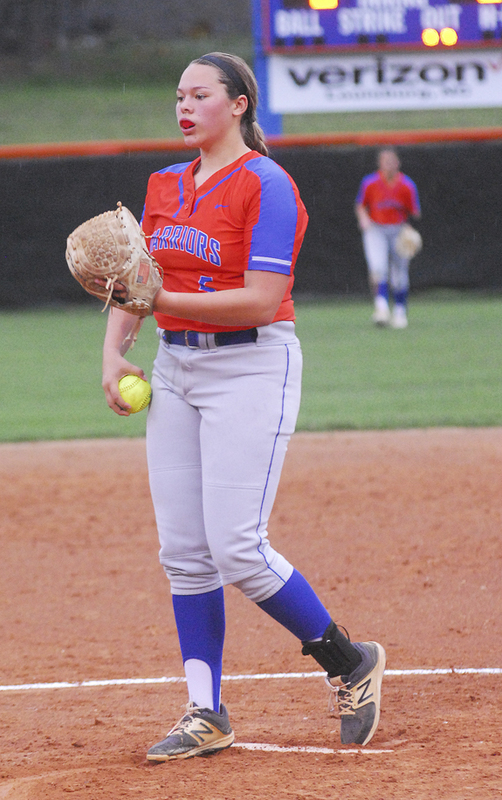 LOUISBURG -- South Granville was faced with an almost unheard-of proposition when the Lady Vikings visited Louisburg last Friday for a pivotal Northern Carolina Conference softball matchup. 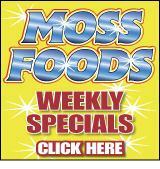 SG, the defending state champion, had already lost two games for the week -- a setback at Bunn and an upset defeat versus Vance County. STANHOPE -- Once a basketball-only standout at Southern Nash High School, Darius Edmundson will now concentrate on football on the next level. 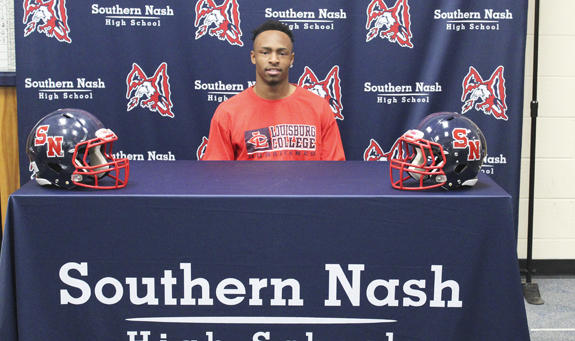 Edmundson, a senior defensive back/wide receiver, has accepted an offer to join the gridiron program at nearby Louisburg College. 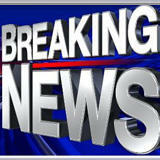 Edmundson finalized his decision as part of a signing ceremony last Wednesday at the SNHS Media Center. HOMECOMING. Tanner Dixon scores a run for Franklinton. FRANKLINTON -- It's a rare occasion when high school sporting events begin on one day -- and come to a conclusion several days later. But that circumstance is more common this spring as rain has moved schedules and forced already-started contests to be temporarily washed away. Such was the case of last week's Big East Conference diamond meeting between Southern Nash and Franklinton at the FHS Baseball Field. 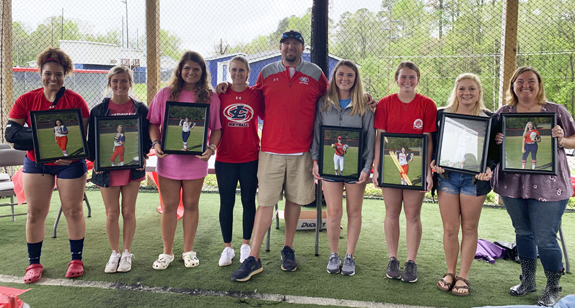 LOUISBURG -- Louisburg College's softball team turned a negative into a positive last Saturday during its annual Sophomore Day. With the weather not cooperating and a scheduled doubleheader called off, the Lady Hurricanes instead hosted a 'banquet' of sorts under the roof in the training facility at Sheilah R. Cotten Field. ALLENDALE, S.C. -- Any coach, regardless of sport, wants to see his or her club competing at peak performance near the end of the season. 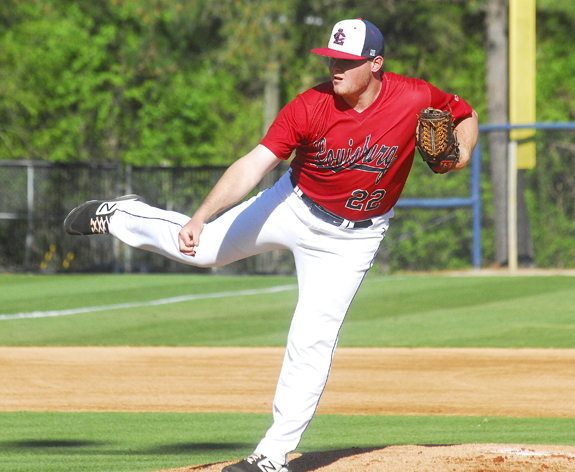 That's exactly what is happening with the Louisburg College baseball team after the Hurricanes swept a four-contest Region X series last weekend at the University of South Carolina-Salkehatchie. ELON -- No. 12 East Carolina University got home runs from Spencer Brickhouse (three-run), Bryant Packard (solo) and Jake Washer (solo), while Evan Odum tossed a career-high 3.2 innings with six strikeouts in a 9-4 baseball win over Elon Tuesday night at Latham Park. With the win, the Pirates improve to 26-10 on the year, while the Phoenix fell to 21-16. Catawba Valley's Jackson Brown scores off a passed ball as Louisburg College pitcher Luke Davis awaits the throw during Tuesday's non-region baseball game at Frazier Field. 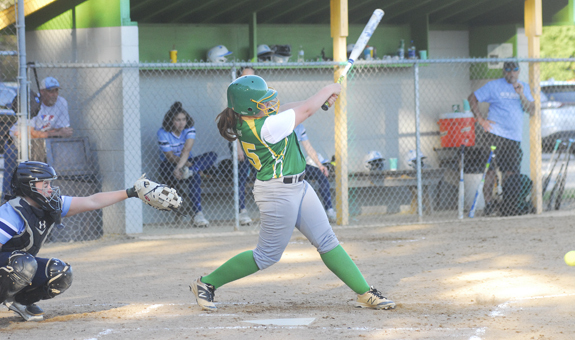 Bunn High School's Liz Parrish rips a single during last Wednesday's victory versus South Granville. 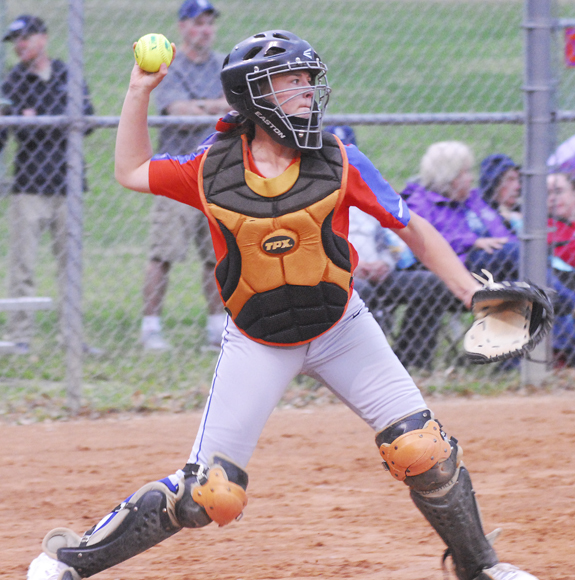 Louisburg High School catcher Chelsea Roberson attempts a throw to second base during last Friday's home softball showdown against rival South Granville. 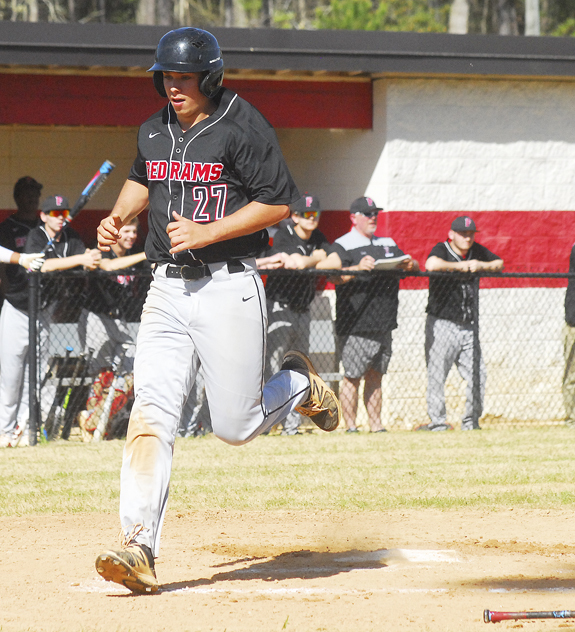 Franklinton High School's Layton Perry (right) slides into third base and would eventually score a run for the Red Rams during last Wednesday's game vs. Southern Nash. 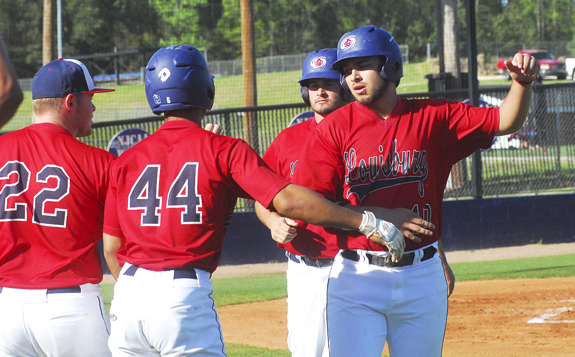 Louisburg College's Drew Camp (right) is greeted by teammates after scoring a run during Tuesday's home game versus Catawba Valley.